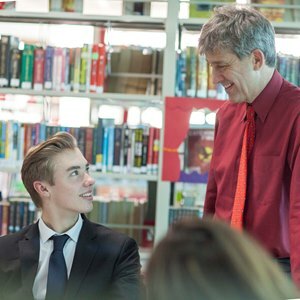 We believe in having a strong sense of family at The British School of Beijing, Shunyi where parents, students and teachers all work together in genuine partnership, connecting with each other to continually improve our school. Our school welcomes parents' input, because working collaboratively is the best way to achieve the best outcomes for our children. 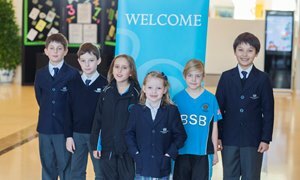 We asked four parents to have a roundtable discussion about why they chose The British School of Beijing, Shunyi for their children. 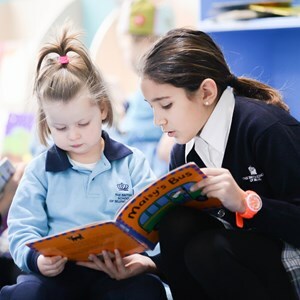 Please view the video above of their candid conversation which includes the topics of settling in, the learning environment and the approach the school takes to help new families become part of the BSB family. It is important to get feedback and we are often seeking out opinions from our parents about their experience at our school. Here are some recent comment from our parents. "Our son is doing great in US public school!! He is in the 90th percentile for both reading and math during his standardized testing exams at the beginning of 2nd grade. BSB set him up for some great success back in the US. The hardest thing is that BSB was great and American schools are not quite up to the same standard. Enrolling Max at BSB was really one of the best decisions we made." My daughter speaks very highly of her teachers. With all the awesome teachers, a great learning institution and curriculum she will continue to thrive under this guidance. Looking at her class photos and all those pictures she gathered and kept, we are certain she has had heaps of fun and learnt great values from the school to be an individual and to be ambitious. As parents, so many lessons learnt and we are glad for her many wonderful teachers to help her transition into year 7 as a secondary student. We appreciate all your team has done to give Hilda a great educational experience at BSB Shunyi! "When my family first arrived in Beijing, I was unable to comprehend how I would last here for three years. 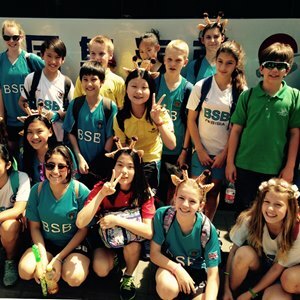 I cannot emphasize enough how much the BSB community has helped make my Beijing experience a pleasant and enjoyable one that I will always cherish." 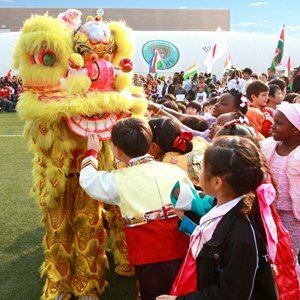 "The British School of Beijing has always made me to feel as if there is an open door environment. The Admissions staff and process certainly made me feel like my kids are important and this feeling continues after the start of school, settling in and beyond." "BSB makes us feel that we're not just part of a school, but part of a family. We love the fact that BSB sees our children as individuals. They make the school fit the child, not the child fit the school. 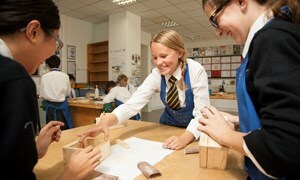 Our children have grown amazingly and blossomed in the BSB environment. " "My children are very happy every day and enjoy school life. 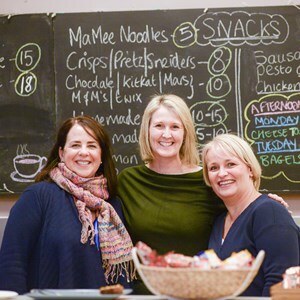 The school provides the opportunity for the children to take part in charity activities, like the Shoebox Appeal, so children understand about contributing society and not just thinking about themselves." "I like it here because people are very friendly and it has a good atmosphere. My son is very happy here." "First I would like to say that this school never ceases to amaze me. I am very happy to hear that there is some focus put on general safety issues. I am very pleased with the educational and life skills my children are being exposed to that mirror what I try to teach them at home. I just want to say, Thank You for all the hard work." "A year ago we were in the process of making the decision to switch our daughter to BSB. E-mails like this -- with feedback on our student's performance (be it a good performance or not so good performance) -- are why we are very pleased that she is at BSB this year and will be for three more years. We really appreciate the communication and individual attention given to each student." "Waaaoooohhh, it is really nice to hear such good news at the beginning of the year, .... we are also so delighted. We believe this is a result of a tripartite initiative (Teachers - Student - Parents) and therefore urge all of us to constantly support him. We, as parents, really appreciate for the efforts you are always putting-in to help our children achieve their endeavors. God Bless you!!!!! We also shared this good news with our son who could not hide his zeal on the subject and determination to pursue it further. We believe with your help he can realize his dream." As I told Mr Worsley the other day, we`ve been very pleased with PE at BSB – the variety of sports you offer is impressive and your enthusiastic, encouraging and ever supporting attitude has been a true delight. With no doubt we can say that PE has been THE ONE among all subjects that we`ve appreciated the most at BSB! As a parent it`s been a pleasure to watch my son to learn new skills and get to know new sports like rugby and also to gain confidence in team sports like football and basketball. My son was also obviously delighted to hear the positive feedback from his teacher and wanted to send his regards and sincere thanks for these past three years – his exact words were: “I thank them for this experience – it`s been awesome!” We wish you all the very best – keep up the good work!